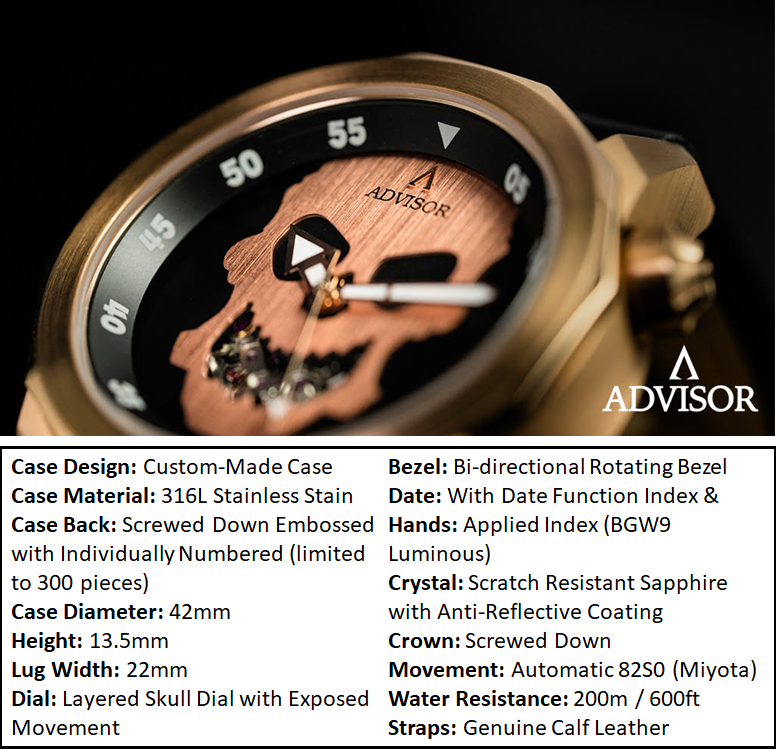 Singapore have been producing some cool design and concept of micro brands lately and it’s no exception that Advisor Watches, an independent brand is joining the list as well. 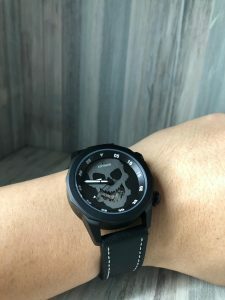 I am fortunate enough to be given an early access to preview and review the 2 prototypes of Ascent Classic and Ascent Skull. 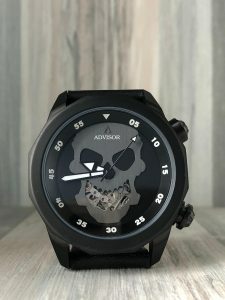 Advisor Watches is not new brand, as they have successfully ran and delivered their first model – Astrohelm on kickstarter campaign last year. 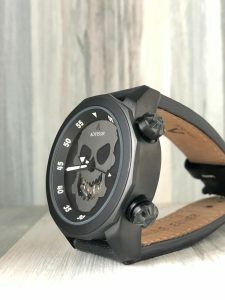 The reviews I gathered on forums and facebook group of Astrohelm were all positive and and mostly surprise how could such a quality watch be so affordable. 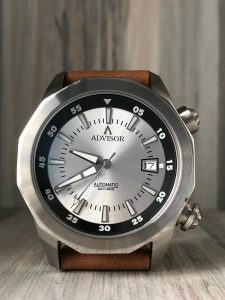 It’s no surprise that Advisor’s second model, an inspiration and concept of Super Compressor – Ascent is another quality model at a very affordable price range. But first, a quick introduction to the term Super Compressor in the watch industry. 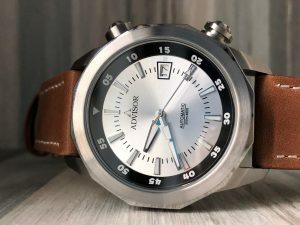 There are many definition that associates with Super Compressor, most commonly any watch that has a dual crown functionality with an internal rotating bezel. 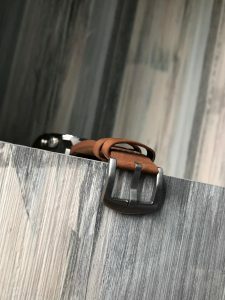 All Super Compressor cases have a namesake gasket between the case back and the case that is compressed by water pressure for better sealing. The Super Compressor is thus rated for 600ft. The Case : My first impression when I got hold of them was it felt solid and smooth. It did not felt too chunky at 42mm, in fact it fits perfectly on my 6.5″ wrist. 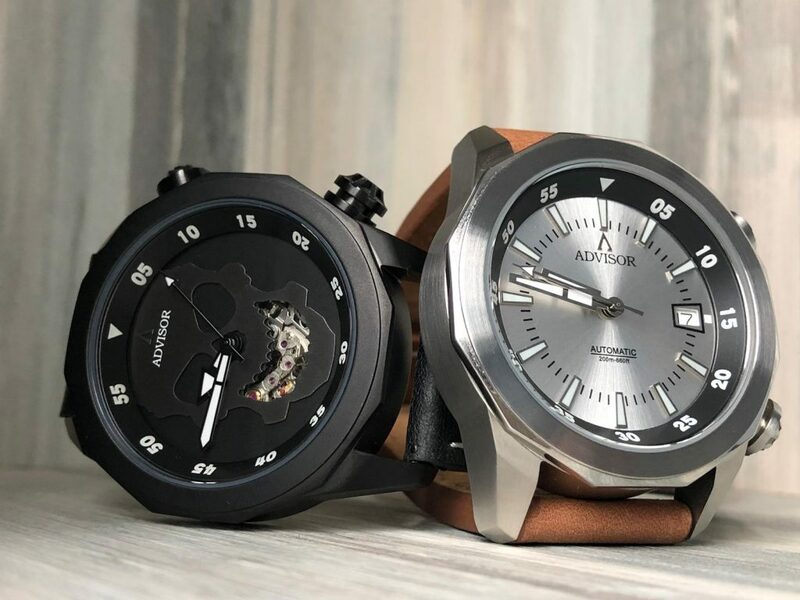 I like the 12-sided polygon (dodecagon) design on the top fixed bezel that offers a geometrically balanced feel with the 2 large crown on the side. 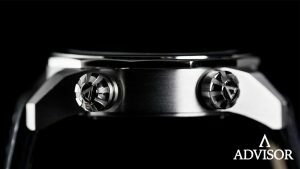 The Dual Crown : The iconic Super Compressor style, which is also the main feature of the Ascent collection. 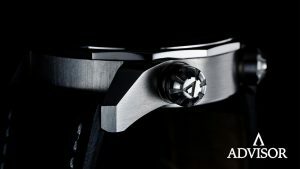 The crown positioned at 2 o’clock is to rotate the internal bezel while the 4 o’clock crown is to adjust the time and date. Both crowns are screw-down and signed with the brand logo. 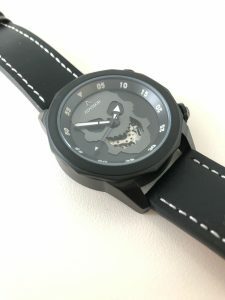 I like how they thought of differentiate the 2 crowns with an additional lining on the design of the 4 o’clock crown. 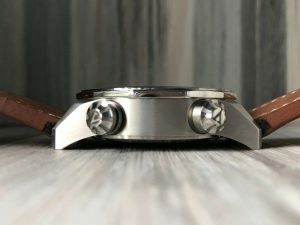 The crown size is larger than norm, as it offers a better grip and adds masculine feature onto the watch. 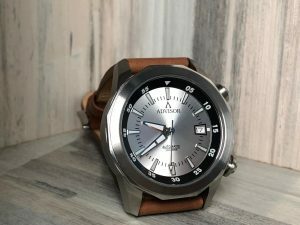 The Dial on Ascent Classic : So, there were 2 versions of the dial that I had the opportunity to field test. Let’s start off with the classic – sunray silver. 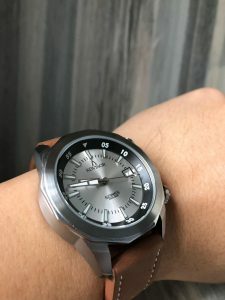 I like the combination of the black internal bezel with the sunray silver main dial, which I can easily look at, unlike the other version that is offered, sunray black which has the black internal bezel. Wish that would have been an inverse colour like how it was done on the sunray silver. 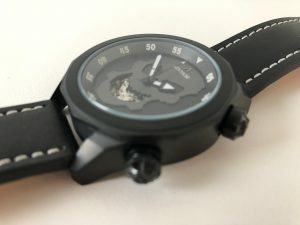 I also like the chosen design of the hour and minute hand as it looks like one of those Japanese Manga cartoon swords. 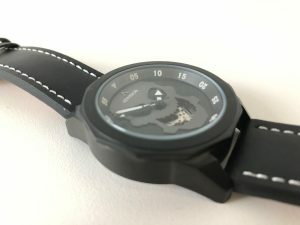 There is a date feature at 3 o’clock position but to me, I would have like it designed in probably a 6-sided or 12-sided polygon to balance it with the watch case design. 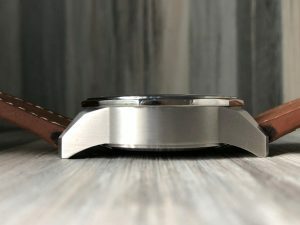 I like how the internal bezel is tilted and angled probably at 45 degrees (like a bowl surrounding the dial), which offers a better viewing of it. The performance of the lume on the hands and indexes are as expected from BGW9. 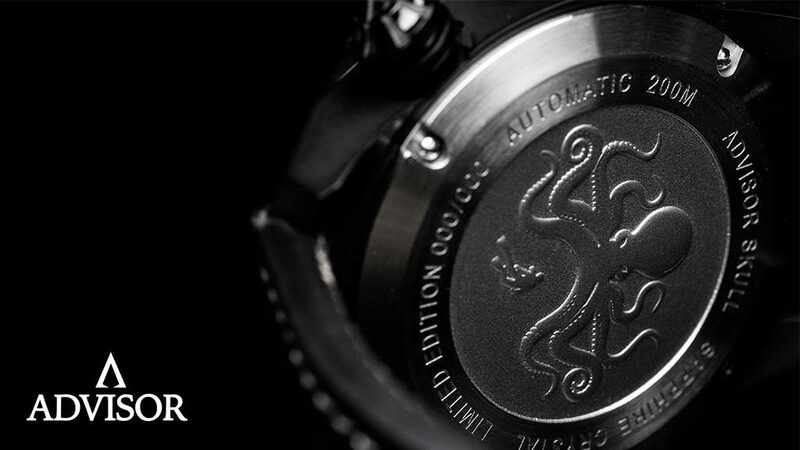 The Caseback : A special mentioned here on the caseback. Kudos to Advisor for not opting for any exhibition caseback, but feature an embossed back case design of a diver facing a huge octopus. The reason why they opted to such design is because it symbolizes one to face his / her fear with strength and courage. 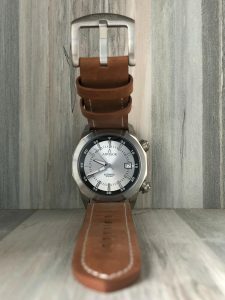 The Strap : The supplied calf leather strap is of a top quality, something you don’t usually find on any watches in this price range. Eventhough it’s thick, but it felt soft and comfortable on my wrist. Conclusion to my review : They are LIVE now on Kickstarter. The super early birds are gone, but the price of early bird (USD260 & USD290) is still a bargain not to be missed out ! 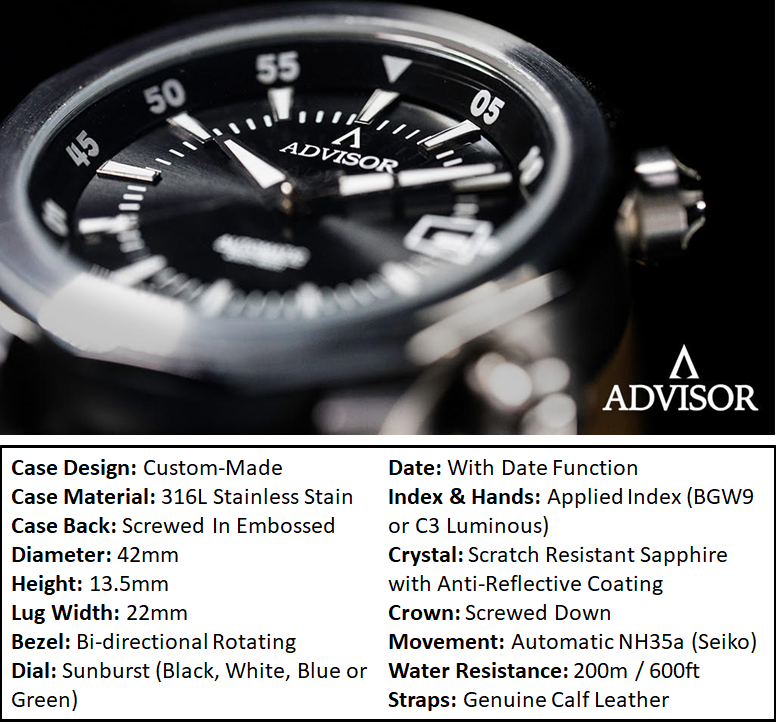 I would say kudos to Advisor for such amazing watch and thank you for allowing me to review ’em. 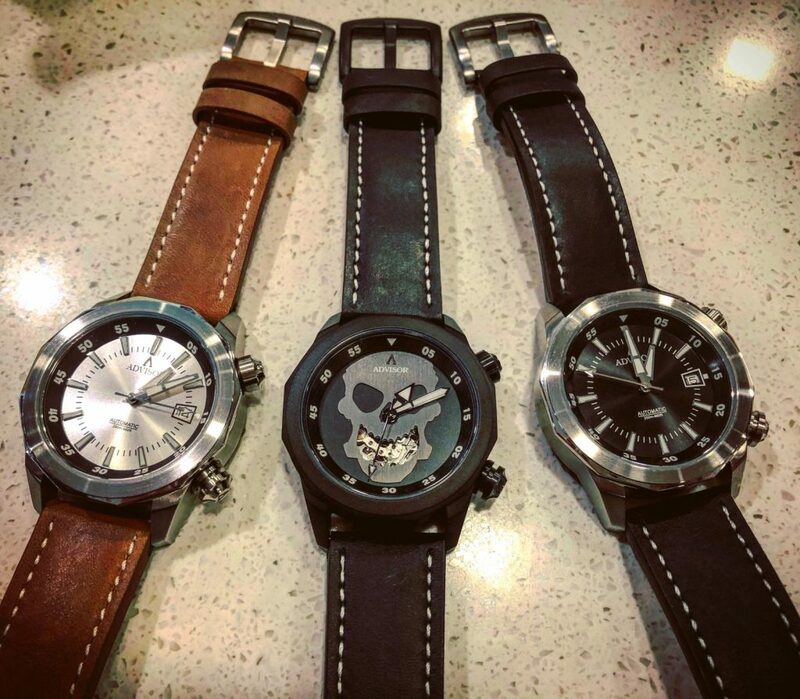 I may get myself the Skull Rose to be added to my watch collection… That sums up what I think of the Ascent Collection !